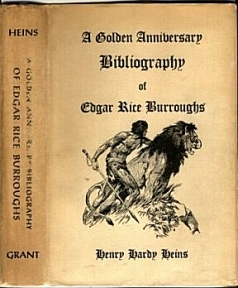 Edgar Rice Burroughs: The Bibliography (ERB, Inc., 2016). Click on www.erbbooks.com or call 214-405-6741 to order a copy. Tarzan and the Golden Lion In the previous novel - Tarzan the Terrible - Tarzan rescued Jane after he discovered that she was alive, and was reunited with his son Korak. In this story he and his family encounter and adopt an orphaned lion cub, whom they name Jad-bal-ja ("The Golden Lion" in the language of the lost land of Pal-ul-don, which they have recently left). They then return to their African estate, gutted by the Germans during the course of World War I in Tarzan the Untamed. 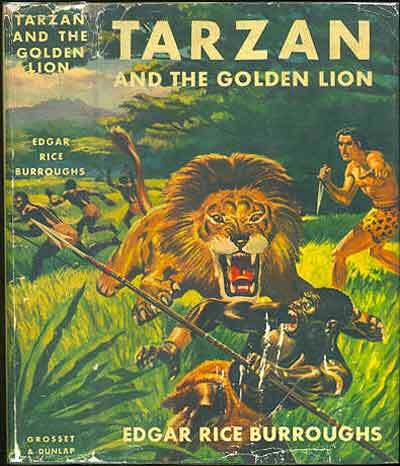 They find it already being rebuilt by Tarzan's faithful Waziri warriors, including old Muviro, who first appears in this novel after a previous mention in Tarzan the Untamed. 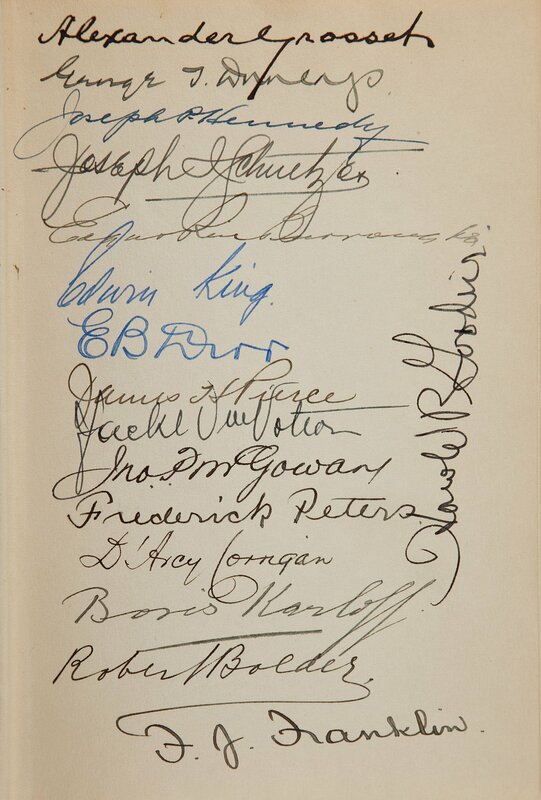 Muviro reappears in a number of later novels as sub-chief of the Waziri. Back at home, Tarzan raises Jad-bal-ja, who in adulthood is a magnificent black-maned golden lion devoted to the Ape Man. 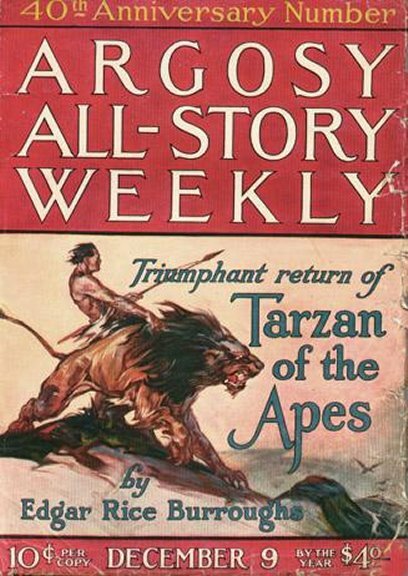 Later Tarzan is drugged and delivered to the priests of Opar, the lost colony of Atlantis that he had last visited in Tarzan and the Jewels of Opar. 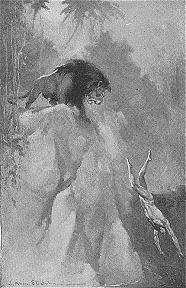 Once again La, the High Priestess of the Flaming God, who is consumed by her hopeless infatuation with Tarzan, rescues him. 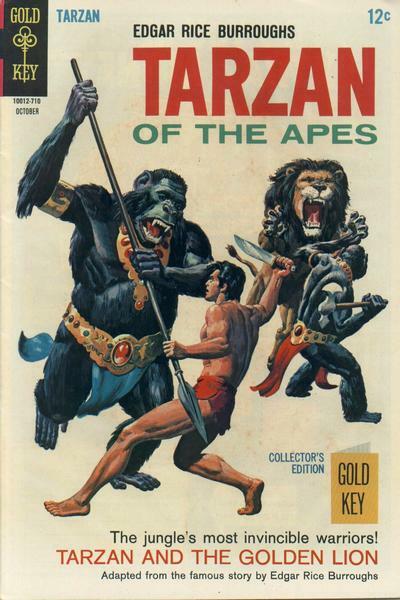 But when her people discover that she had betrayed them, she flees with Tarzan into the legendary Valley of Diamonds, where savage gorillas rule. The good news is that Tarzan and La are followed by the faithful Jad-bal-ja. 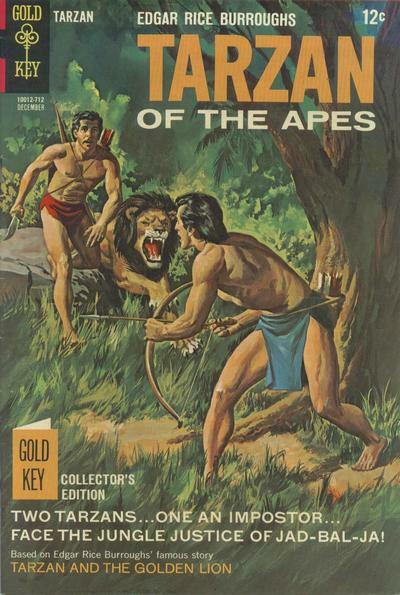 The bad news is that they are also being trailed by Esteban Miranda, who happens to look exactly like Tarzan, who hopes to locate and loot Opar. 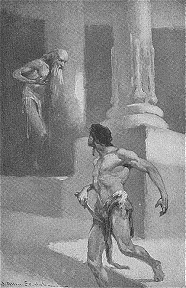 Tarzan had been betrayed. 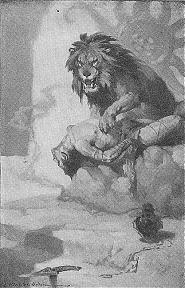 Drugged and helpless, he was delivered into the hands of the dreadful priests of Opar, last bastion of ancient Atlantis. 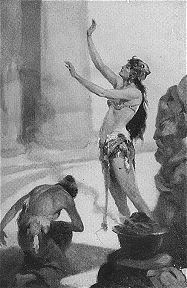 La, High Priestess of the Flaming God, had saved him once again, driven by her hopeless love for the ape-man. But now she was betrayed and threatened by her people. 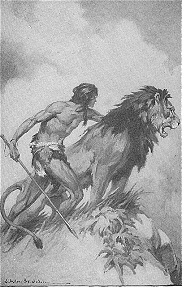 To save her, Tarzan fled with her into the legendary Valley of Diamonds, while Jad-bal-ja, his faithful golden lion, followed. Ahead lay a land where savage gorillas ruled over servile men. 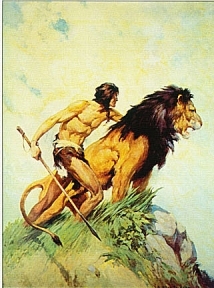 And behind, Estaban Miranda—who looked exactly like Tarzan—plotted further treachery. VII. 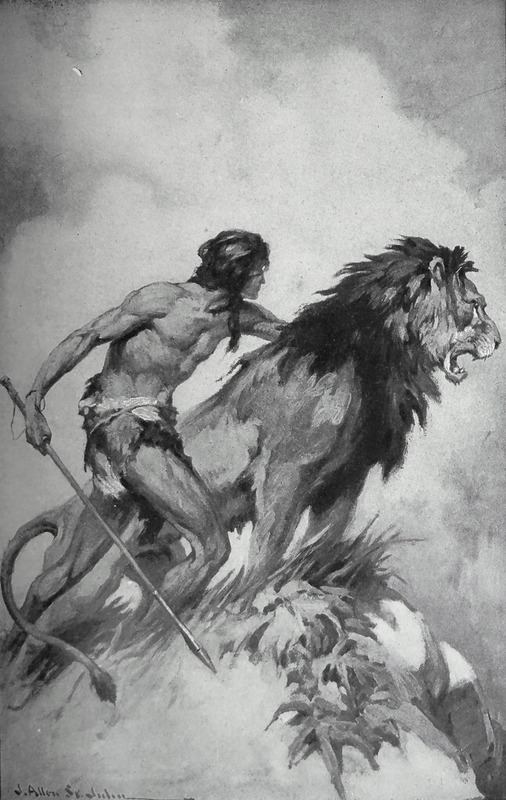 "You Must Sacrifice Him"
From 1923, where it first appeared as a seven-part serial in ARGOSY ALL-STORY WEEKLY beginning in December 1922, this is one of the books from (in my opinion) Tarzan`s best period. 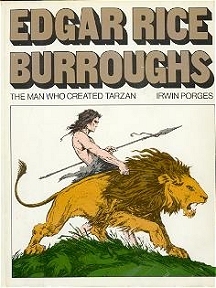 From roughly TARZAN AND THE JEWELS OF OPAR to TARZAN AND THE ANT MEN, Burroughs had developed his writing style into something clear and flexible, while keeping the dignified formality of his earliest work. His concept of Tarzan as a complex man with a fully realized supporting cast was in full use, things which would be sorely missed in the second half of the series. 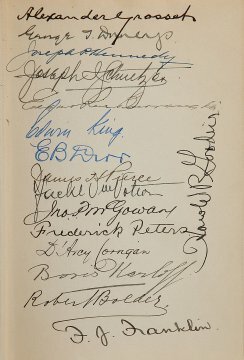 And he had not yet become as bitter and filled with dislike of humanity in this period as he later showed. 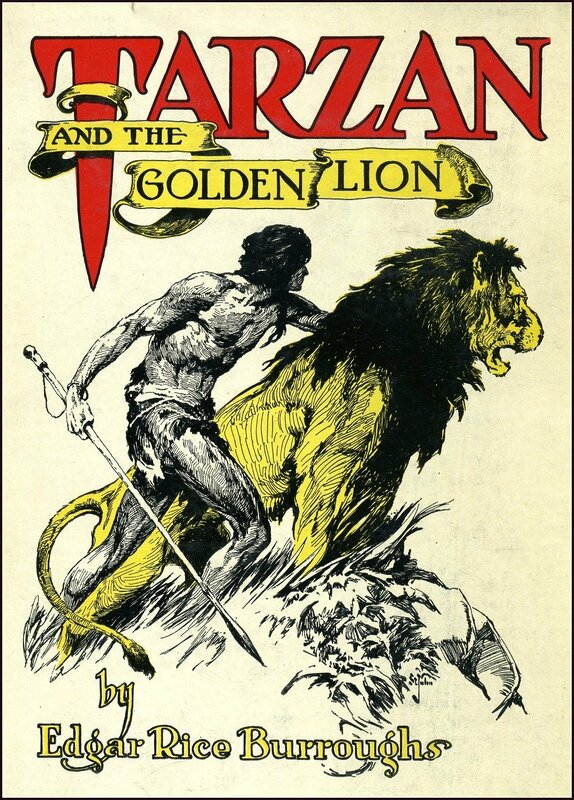 One thing I like about this book is that Tarzan is genuinely heroic in the chivalrous sense. In the later books, he became indifferent to human suffering and lost himself in an indolent daydream unless hungry or attacked. But in this middle period, he has claimed a large territory as his personal domain and he enforces the peace in it with vigor. 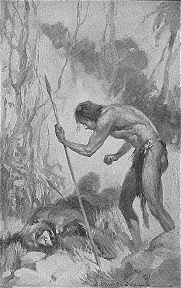 Slavery, torture, cannibalism...are are forbidden in Tarzan`s turf and you`d better not let him catch you at it or even enter his domain without permission. Here he immediately is offended as the brutal mistreatment of the black slaves by the Bolgani and he resolves to free the humans and establish justice in this area. 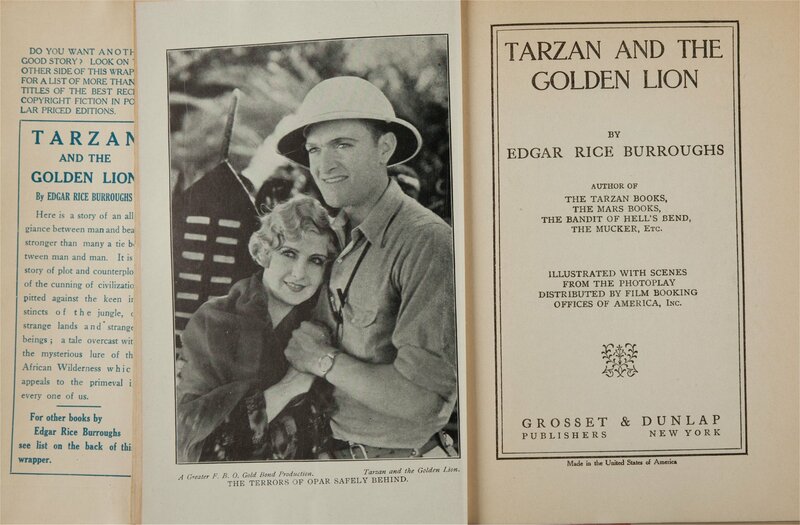 Tarzan`s supporting cast is also very welcome in these medium period books. Jane is brave, admirable and as heroic in her own right as her husband. 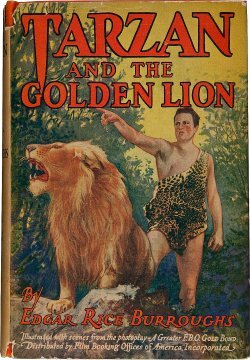 Their son Korak is not seen as much and wife Meriem is oddly absent, but then young Jack Clayton had enjoyed a dramatic role in the previous book, TARZAN THE TERRIBLE. And the Waziri tribesmen are repeatedly described as the bravest and most competent warriors in Africa, if a bit bloodthirsty and eager for a fight. 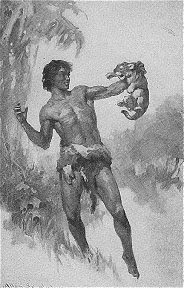 They are "clean-cut, powerful men, with intelligent faces and well molded features.." Their loyalty to Tarzan and Jane might seem a bit overdone to touch modern sensibilities, but after all the Apeman was their chief and blood brother and it would be a wise fighter who accepted Tarzan as a leader. 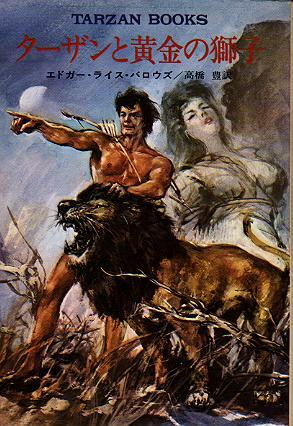 My delicate sweetie La also appears, still hopelessly lusting for Tarzan, exiling herself to save him from sacrifice and still strutting about nearly naked; she doesn`t seem quite as murderous or memorable as in her other appearances, though. As for Jad-Bal-Ja himself, well what can I say? He`s an impressive character on the stage. 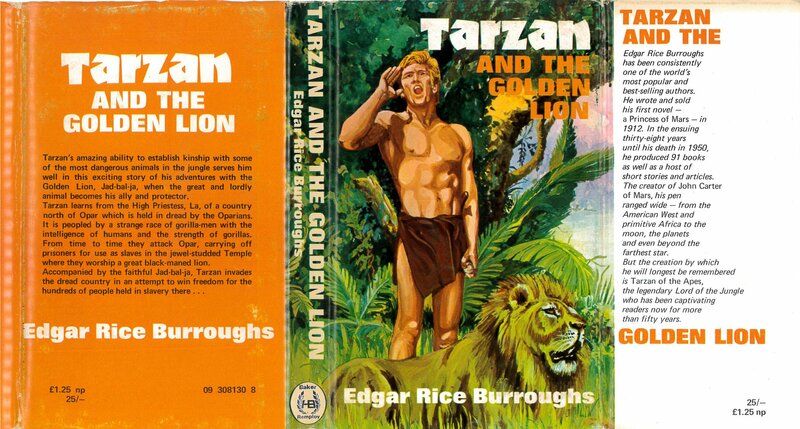 Rescued as a cub and raised painstakingly by Tarzan himself, the golden lion grows into a huge blackmaned beauty. 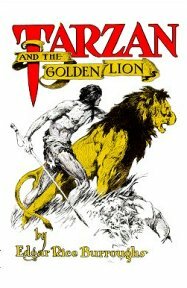 Probably only Tarzan could have trained a lion to follow spoken commands, to fetch and heel. 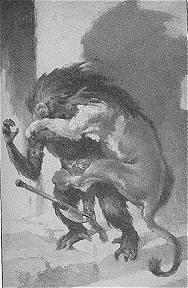 Wnat rings most true is that, however well trained he is, Jad-Bal-Ja always stays more than a bit unruly and unpredictable and even Tarzan has trouble reining him in against his natural impulses. 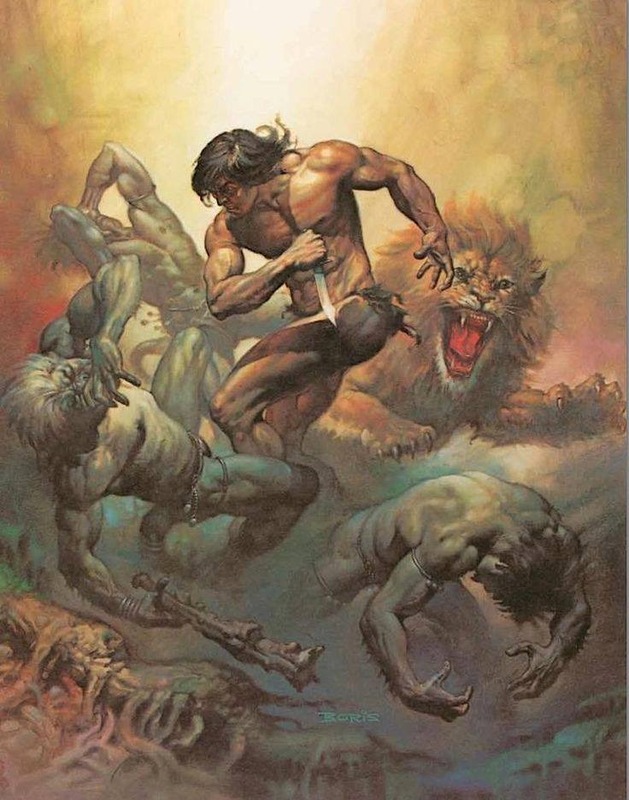 He certainly gets a workout too, plowing his way through a full scale battle and leaving raw piles of chewed Bolgani all over the place. 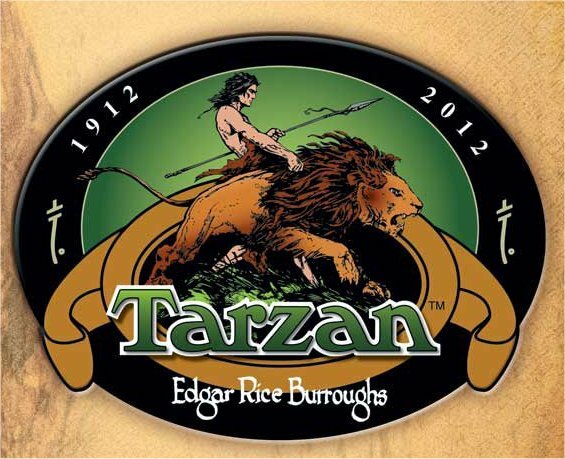 This is my favorite characterization of Tarzan himself. He has enough sophistication to tease Jane that perhaps his father was in fact an ape ("...you know Kala always insisted that he was"), and there are referennce to his sitting in the House of Lords and enjoying a late cup of coffee "upon his return from the theatre or a ball." 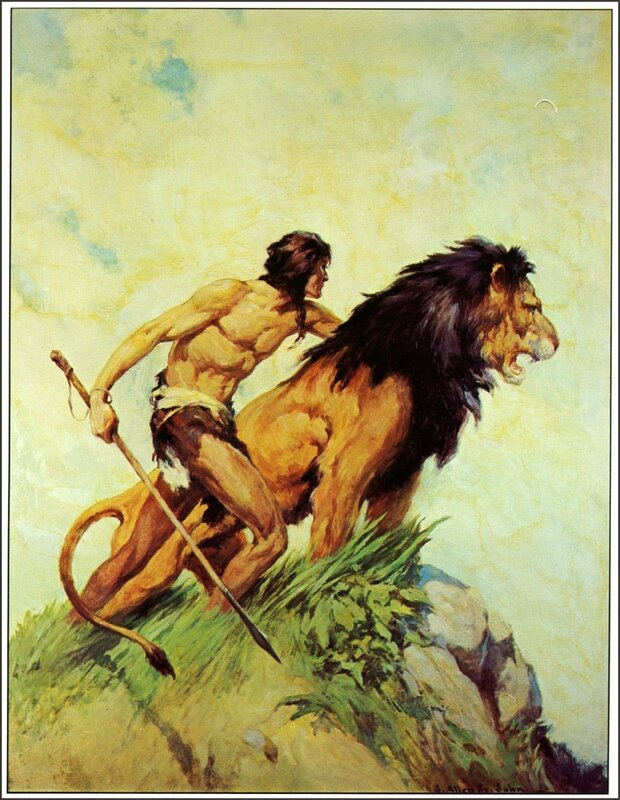 This is the same man who is enthusiastic about dropping from a tree to kill an antelope with his knife and, in this story, hoisting a full grown gorilla to his shoulders and carrying the carcass around with him. It`s the duality of Tarzan that makes him unique. Although he might prefer to lived naked in the trees and eat raw meat all the time, his genuine love for Jane has led him to develop a huge plantation and ranch, with a comfortable bungalow for a home. I don`t think this is entirtely for Jane`s sake, either. 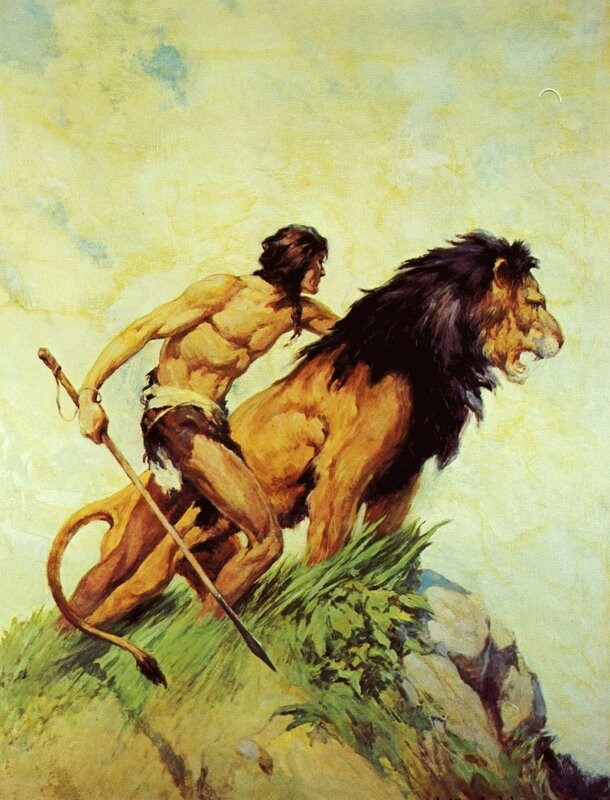 Tarzan always has to be the alpha male, the Big Bwana, chief of his tribe whether ape or Waziri. He supervises his estate carefully and also enforces his self-imposed rule on the territory around him. 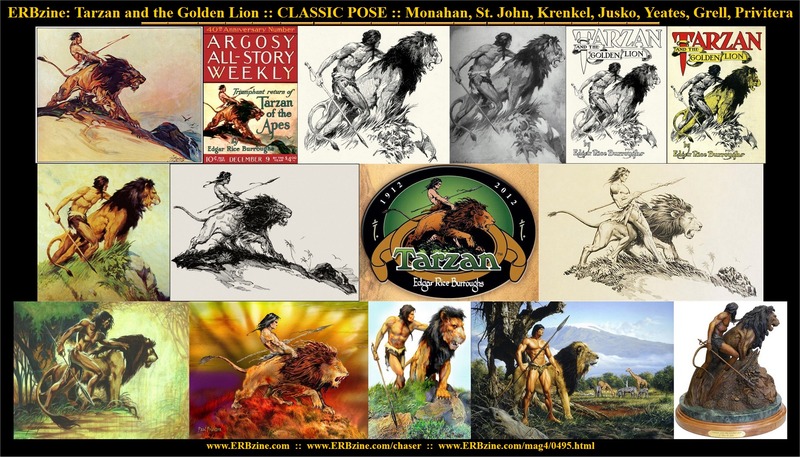 For all of his (and the author`s) sermons against civilization, Tarzan seems determined to bring basic law and order even to tribes which don`t affect him directly. 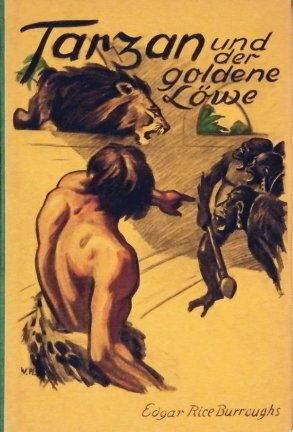 Within three or four books later, the Apeman would essentially forget his family and responsibilities and escape to a simpler childhood`s fantasy of no schedule and no decisions to make. 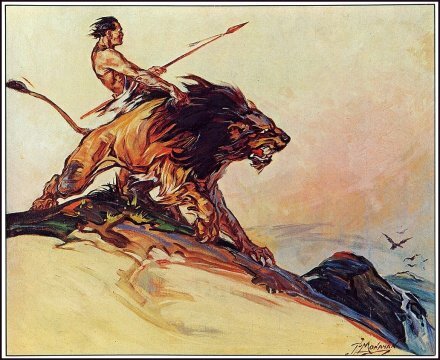 He was less interesting as the wandering solitary savage, with only Nkima and occasionally his pet lion, than he was as the literal Lord of the Jungle.